The photograph of the Coach & Horses shows the building before the first floor was added. 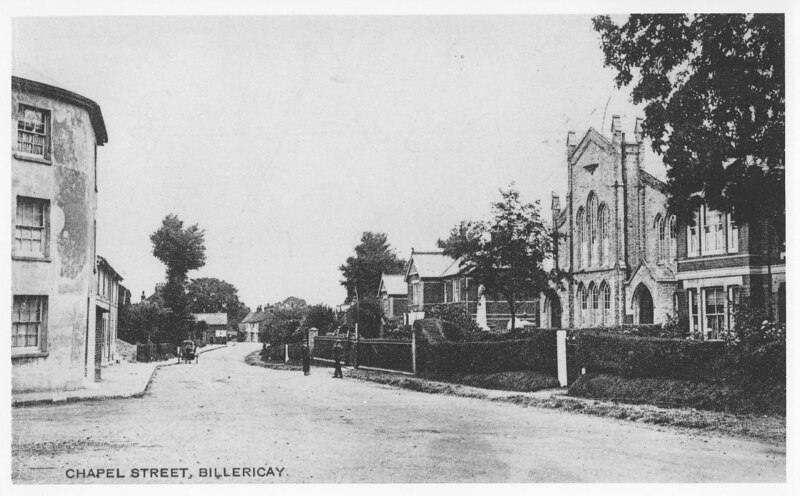 The photograph of Chapel Street clearly shows the United Reformed Church to the right. The bottom two photographs are very interesting. 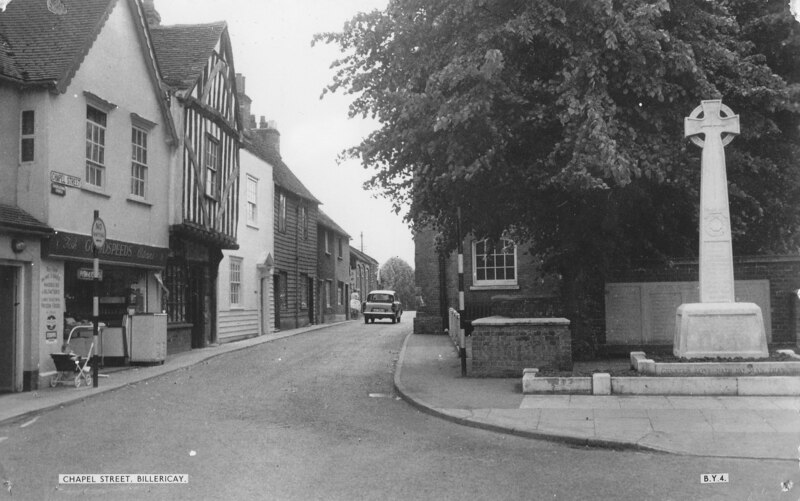 The upper photograph taken sometime in the sixties, based on the Ford Anglia driving away form the camera, clearly shows a Tudor style timbered building. 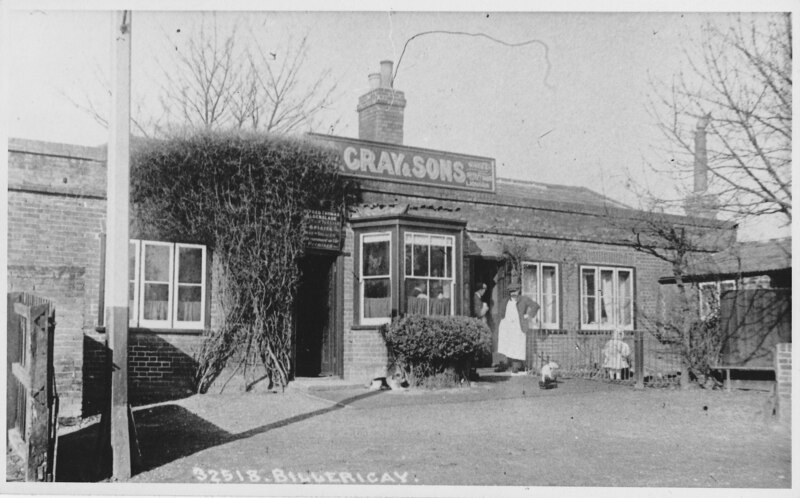 The lower photograph which is somewhat earlier has the building without it’s timer frame showing. This picture is probably pre second world war as the War Memorial has railings around it which may well have been removed to help the war effort. 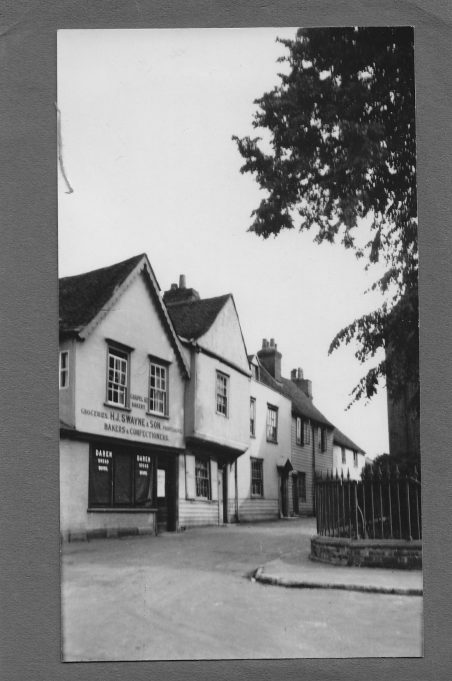 The Coach & Horses before it gained an upper floor. Chapel St from the junction with Sun St.